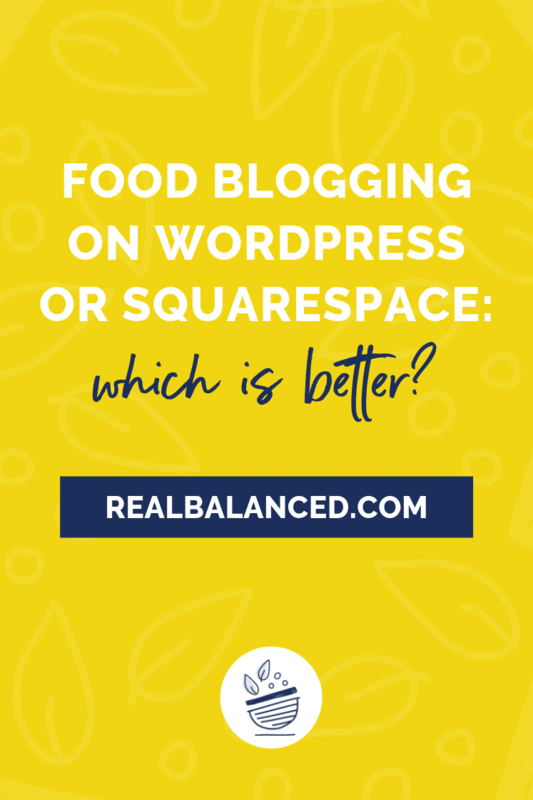 Home Blog Business Food Blogging on WordPress or Squarespace: Which Is Better? 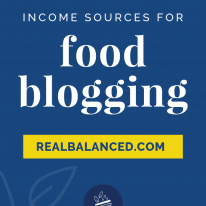 If you’re thinking about starting a food blog, one of the first decisions you will have to make is choosing which website platform to build your site on. 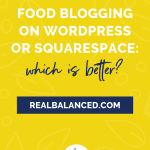 Though there are many options out there for where to create a food blog, the debate tends to focus on WordPress and Squarespace. I have tried my hand at both and, thankfully, after a year with Squarespace, moved to WordPress and have been VERY happy with my decision since. I began Real Balanced on Squarespace and, after experiencing A LOT of headaches with the platform, migrated my site to WordPress.org. 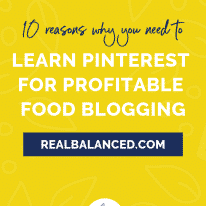 If you are planning on starting a food blog, I definitely recommend using WordPress.org. To start, Squarespace is a drag-and-drop website builder. This means that, though simple to use, you are limited in what you can do with it. There are a variety of pre-made templates and style options, which are aesthetically beautiful, but the actual power you have for customizing your template is minimal. WordPress, on the other hand, is totally and completely customizable, which, when we consider the need for plugins on food blogs, is a necessity. For example, the version of Real Balanced you are looking at right now is a custom-built site, which was created manually by a designer and web developer. There are many facets of my site that are custom-coded, but there are also many areas of my blog that stem from plugins. More on plugins momentarily. When you build a website on WordPress, you are given the option of using WordPress as the host (.com), or using an outside company (.org). When choosing .com, you are confined to WordPress’s platform and templates. If you choose .org, customization is totally up to you. Basically, .org allows TOTAL personalization. I definitely recommend this option because it allows you to utilize a bunch of added features. Themes: WordPress offers a ton of themes, both free and paid. With these themes, you have a basis for the design of your website. However, if you wish to change something or implement personal design preferences, you can totally do so. When I first migrated from Squarespace to WordPress, I purchased the Foodie Pro theme from Feast Design on Studio Press. This theme is easy to use and was made specifically for food blogs and, once you see the layout of it, you will likely begin to notice that A LOT of popular food blogs are using Foodie Pro. Plugins: The world of plugins is HUGE! Plugins allow you to add different features to your website. One of my favorite food blogging plugins is Tasty Recipes from WP Tasty, which I use alongside Nutrifox on all of my recipe posts. This allows my posts to include recipe cards that give the reader instructions and information all in one place that is both printer- AND Google-friendly. No matter what recipe card plugin you choose, be sure to do some research on how recently and how often the plugin is being updated. I really like Tasty Recipes for a variety of reasons, but, above all, my favorite aspects of the plugin are that the team at WP Tasty is regularly updating the plugin to make it even better and their customer support is fantastic. Hosting: As far as hosts go, I use Agathon. Worth EVERY PENNY. I have truly found their support incredible and 100% recommend checking them out. In fact, you can save $15 on your first month if you go through this link! If you want to check out other hosts, some options include Bluehost, HostGator, and SiteGround. Unlike Squarespace, who both handles the site platform AND hosting, host customization is one of the best benefits I have experienced since switching to WordPress. Integrations: With WordPress, integrations are a breeze. One of my favorites? ConvertKit! When someone signs up on my site to receive my newsletter, their email is directly added into my ConvertKit database. With Squarespace, it’s not so simple. The primary reason I migrated my food blog from Squarespace to WordPress? I wanted a recipe card. Squarespace does not have this functionality, which led me to publishing my recipes in a blogging “block.” Not even remotely a good option for SEO. As I mentioned previously, I use WP Tasty’s Tasty Recipes plugin, which creates beautiful recipe cards that allow your users to easily read your recipe, print it out, and more. I highly, highly recommend investing in this plugin for all of the reasons I mentioned above. When it comes to website reach, Search Engine Optimization (SEO) is EVERYTHING! 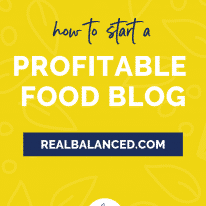 I talk about this in more depth in my post, “How to Start a Profitable Food Blog,” so, for right now, I’ll just briefly run through the basics. When someone performs a search on Google or another search engine, the search engine looks at the actual content on sites when choosing what to present to that user. If your content is deemed relevant, it will be presented. Why? Because Google wants to show its users the most accurate search. If you’re completely unfamiliar with SEO, look at it this way: when you search for “the best keto bagels,” do you notice that you are only seeing content options with keto bagels? You aren’t seeing the local weather in Milwaukee, WI or Boston terrier puppies available for adoption; you’re seeing results that Google has determined as being ultra relevant for what you’re looking for. That’s SEO at its most basic level. SEO involves keywords, meta descriptions, headings, general content, readability and more. The more accurate (relevant) your SEO, the more likely your content will be shared with users. With WordPress, there are various ways to help your SEO. Personally, my favorite is the tools available in the Yoast plugin. Yoast allows you to see how each post measures up. As you edit and change your content, Yoast shows you if your SEO score has increased or decreased, and why. This makes inputting SEO content SUPER easy, so it’s definitely one of my favorite WordPress features. Unlike many Squarespace templates, you can always (and should always) have a recipe archive available on your site. When I was using Squarespace, I tried about 5 different templates and only a few of those offered the ability to show a recipe archive. What is a recipe archive? It’s a place where readers can quickly go and search through all of the content that has been published on your site by category or date. It’s an extremely valuable and user-friendly tool that you should offer your readers as it will allow them to quickly and efficiently find what they are looking for. Many WordPress templates that were created for food bloggers have recipe archives already built-in, which is exactly what Foodie Pro offered me when I was using it. Overall, the benefits of using WordPress as a food blogger far outweigh that of using Squarespace. With the latter, there simply isn’t a great way to display recipe content. WordPress’s ability for endless customization makes food blogging infinitely better!